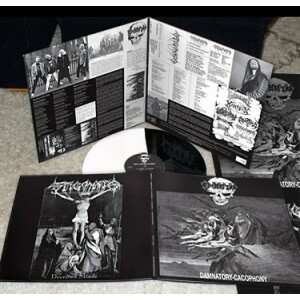 THE CRYPT PRESENTS: EMBRYO “Damnatory Cacophony” / STIGMATA “Deceived Minds” Split LPTWO Crushing Classic Swedish Death metal demos on one SPLIT LP Featuring members of BLOOD MORTIZED, CRYPT OF KERBEROS, EGYPT AND DARK FUNERAL!THE CRYPT PRESENTS: CULT DEMO SERIES: VOL I. The Crypt is proud to announce the forging of a new subsidiary label: CULT DEMO SERIES. 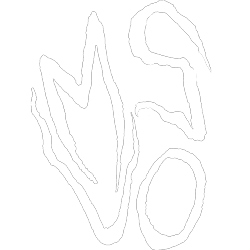 This label will focus exclusively on unsigned bands who only ever released demo material and have never had an official release. It will be designed to finally offer these amazing yet obscure bands to finally have a long overdue official release. Our first offering will be in the form of a Split LP between two Swedish cult acts and feature the only demos either band ever recorded. Both of these demos offer signature crushing Swedish Death Metal guaranteed to please any fan of the genre, as well as fans extreme metal in general. Mattias Borgh and Mattias Parkkila are both currently members of BLOOD MORTIZED (Swe).The A side features the classic EMBRYO “Damnatory Cacophony” demo. Originally released in 1991 and limited to 500 pro-printed copies, it features Mattias Borgh from the mighty CRYPT OF KERBEROS as well as members from such cult acts as XENOFANES (Swe), HARMONY (Swe) and MAZE OF TORMENT (Swe).The B side features the ultra obscure yet equally amazing 1992 demo “Deceived Minds” from Sweden’s STIGMATA, featuring Mattias Parkkila from EGYPT (Swe) and Peter Eklund of DARK FUNERAL (Swe).T This amazing piece of history will have the usual CRYPT standard of quality and feature classic band photos, reviews, interviews, new liner notes and lyrics. Limited to 500 hand numbered copies, 250 on half black / half white wax (very fitting for a split LP). Each LP comes with a 12″ x 24″ foldout poster featuring both covers.